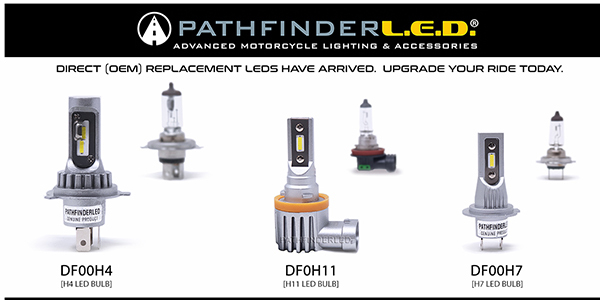 PathFinderLED launched their new DF Series LED bulbs (Direct Fitment). The DF Series are a new generation of LED bulbs suitable for OEM replacement and have improved beam patterns as opposed to stock incandescent bulbs. They are brighter, draw very little power and are Plug-N-Play. Designed with high performance LED chips and all metal housing, the rugged design works well across different applications. The DF Series LEDs replace stock bulbs from a wide variety of applications of motorcycles, snowmobiles, ATVs and automotive applications. These DOT compliant bulbs have a similar foot print to the traditional halogen bulbs and offers improved beam pattern with LED design innovations. 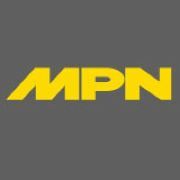 They draw less than 1/3 the amperage compared to halogen bulbs that pull anywhere from 4-6 amps (H4 halogen). Extremely efficient design without sacrificing lighting output, they clearly make you more visible on the road. This in turn reserves your charging system/battery and leaves power available for other devices/accessories. Available in different bulb configurations including H4, H11, H7, H9, H13, 9005, 9006. Rated at 1600LM/6000K bright white color temperature, these bulbs come with an industry leading two-year replacement warranty.